iPhone X is going to be relase officially on 3rd November 2017, Customers can pre order it from 27th October 2017, The expected price of the 64GB iPhone X is $999(SR 3746) and 256GB iphone X costs nearly $1149 (4308 SR) . 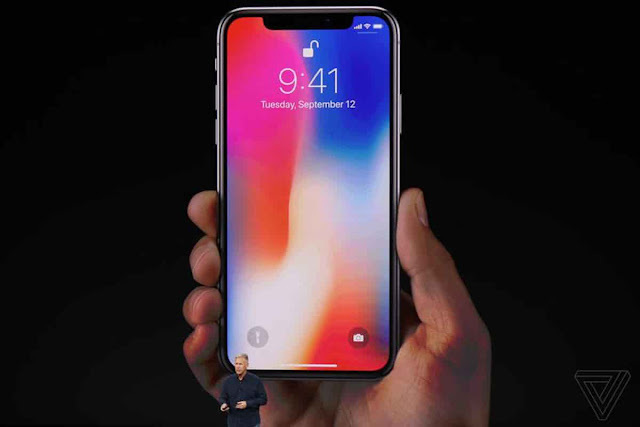 - iPhone X is a super duper phone made with full glass and stainless steel, It has 5.8 inch Super Retina screen. - No Home Button, A single swipe takes you to your Home screen. - Wireless Charging, 2 hours more battery life compare to iPhone 7. - Your face is the new password to unlock, authenticate and to pay from your device. - Adaptive recognition, Face ID adapts the physical changes of your face from time to time. - iPhone 10 is the first OLED screen, It is water and dust resistant similar to iPhone 7 and iPhone 7+. - Dual 12 Mexa Pixel Cameras, True Tone display which adjusts the white balance as per the surroundings. - The most powerful and smartest chip called A11 Bionic with neural engine which is capable of 600 billion operations per second. - Wide color support with million to one contrast ratio, It also includes HDR which supports Dolby Vision and HDR10. - Self designed 3 core GPU, which is 30% faster than A10 Fusion, Enabling new machine learning and 3D games. - iPhone X is with new iOS 11, Siri will be your translator, Pay to friends via Messages.